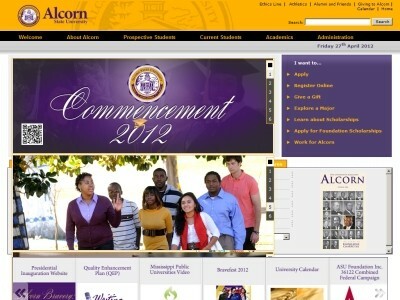 Review: Alcorn State University is a land-grant institution that has been designated by the Board of Trustees of State Institutions of Higher Learning as a regional university with a primary purpose to serve the southwestern region of Mississippi. The institution considers itself a premier institution preparing students for graduate and professional school, especially in the sciences. For more than 125 years, Alcorn State has educated leaders in the full range of professions including: agriculture, the arts, business, human services, education, law, politics, medicine, and nursing. An important reason for our graduates' success; at Alcorn, students form close, collaborative relationships with faculty mentors. Two campusesin Lorman and in Natchezcover more than 1,700 acres, but Alcorn is an environment scaled to the individual. A look at our campuses will show you that we're growing. A $10 million math and science building with $3 million in state-of-the-art equipment is one of the newest additions to Alcorn's 1,700-acre Lorman campus.